Russia Beyond The Headlines, the international media project of Rossiyskaya Gazeta, successfully conducted a focus group at its Moscow office on June 19. The initiative was a part of a research study being carried out into readership opinion on RBTH content. 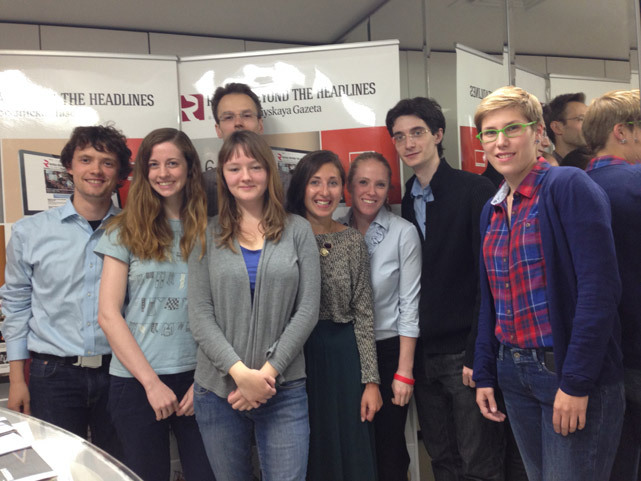 Six expats from the U.S. were invited to discuss all the pros and cons of the RBTH website and print supplements. Respondents shared their opinions about the website and print supplement content, the ease of use of the website, the use of RBTH pages in social media, print layout etc. The session lasted 90 minutes and after that guests had opportunity to communicate with each other and with the Russia Beyond The Headlines team. They also received some special gift sets. The RBTH team hopes that meetings with readers will take place more often in future.